My family has completed our 15-year plan this year. It started in 1997 … and 15 years later, our family of 5 has earned 5 college degrees. Sonoma State University. The graduation ceremony was on May 12, 2012. I announced the plan at a family dinner. Velda had decided to go back to school and get her Bachelor’s and Master’s degrees in order to become a geriatric Nurse Practitioner. The kids would have to sacrifice (less of Mom’s cooking is a bad thing in our house). But Velda’s journey was just the beginning … each of the kids would follow with their own Bachelor’s degree. It was our plan. It was our expectation. It’s also a good idea, by the way … statistics show that college graduates have substantially better incomes than those that stop their education after high school. I believe the most important reason to get a college education is that it will teach you how to think. I got my college degree in education; a BS of Education in Speech & Dramatic Art from the University of Missouri. I only taught professionally for 8 weeks at a private college’s summer camp. On the other hand, I’ve been in management throughout my career, and I’ve taught many people many things. Did I use my degree in education? Absolutely. I didn’t go to the graduation ceremony, though. I got married, instead. That was absolutely the right decision (we had to get married on the 13th of the month, because we’d had far too many “13’s” show up through our courtship to ignore). I do have some small regrets I didn’t get to enjoy the pomp & circumstance, however. The lesson? Everyone follows their own path. But get on the path! 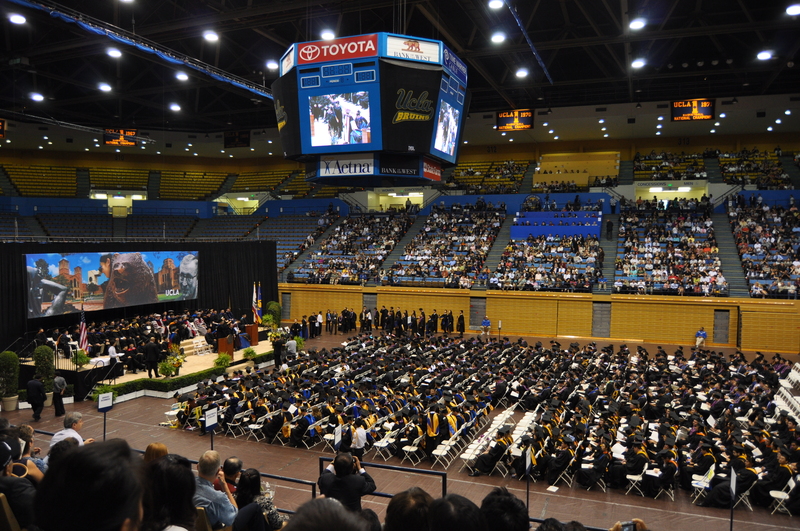 UCLA College of Engineering graduation, June 12, 2009. 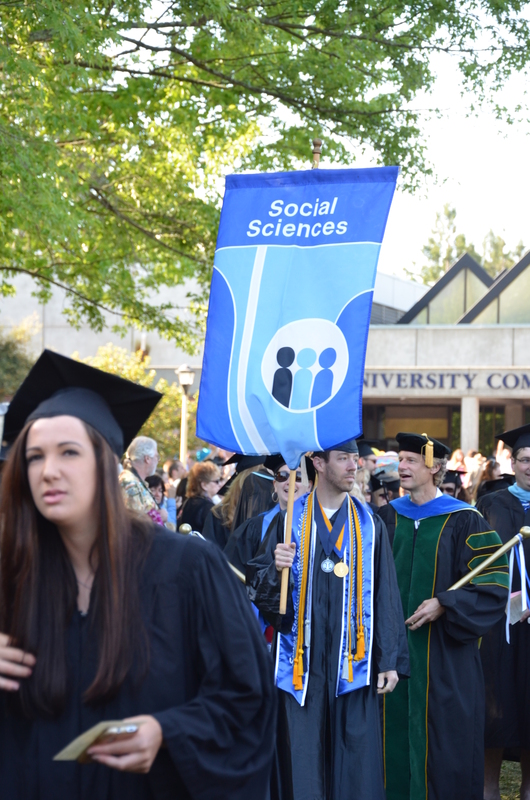 The ceremony was in the “old” Pauley Pavillion, and was a long, long event by the time they awarded all of the graduate degrees … and then there were many undergraduates to go! Velda’s college path was MUCH more circuitous than mine. She actually attended 7 colleges on her way to her Masters: University of Missouri – Columbia, Valley College, Mission College, LA County USC School of Nursing, College of the Canyons, California State University – Northridge, and UCLA. She took 25 years to get her degrees, but she got there. Velda got the two degrees required to be an NP: a BS in Nursing from CSUN, and then an MS in Nursing from UCLA . Her job satisfaction, and her income, increased substantially after she got her degrees. Time will tell how the degrees earned by each of the three kids will serve them, but I am 100% certain that our family is stronger because we set a very big goal, and all 5 of us worked to achieve that goal. Some goals take some time to accomplish, and this worthy goal took 15 years. Don’t be afraid of the difficulty of the path. Be committed to the goal, and you will achieve it.